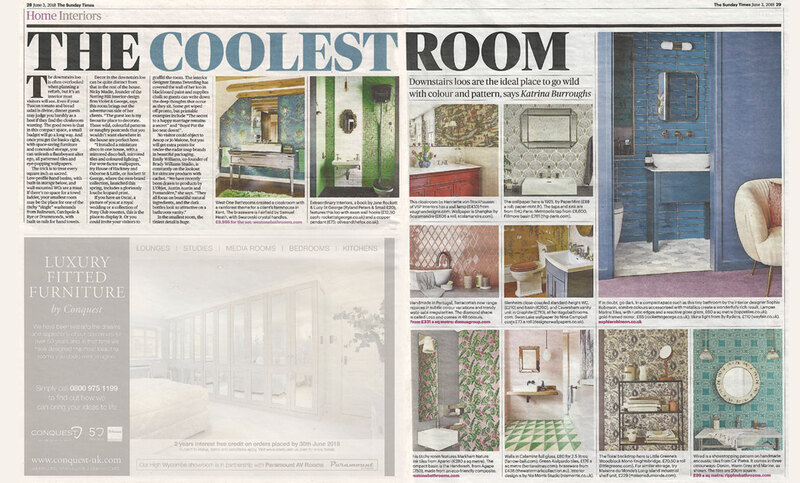 Nicola Mudie from Violet & George in The Sunday Times on June 3rd 2018, talking about interior design for downstairs loos! The guest loo is my favourite place to decorate. Those wild, colourful patterns or naughty postcards that you wouldn’t want elsewhere in the house are perfect here. I installed a miniature disco in one house, with a mirrored disco ball, mirrored tiles and coloured lighting.